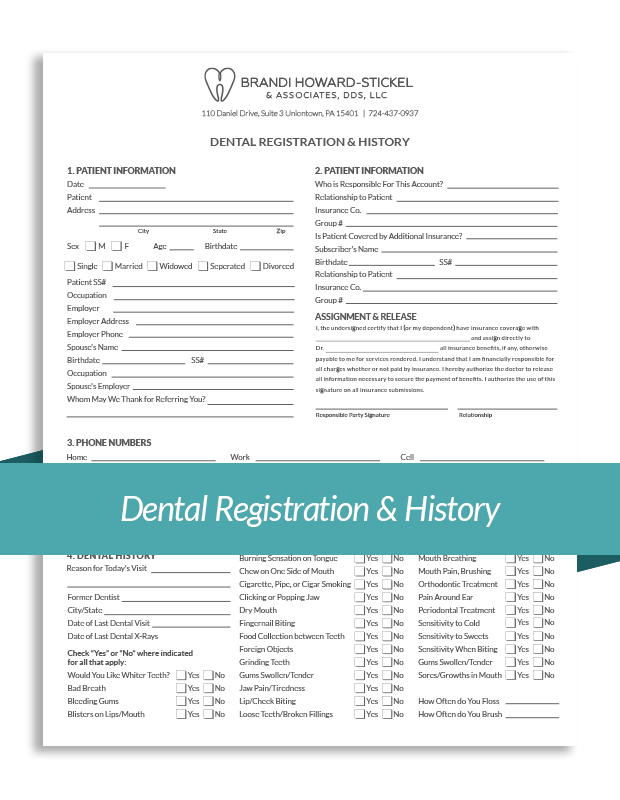 For your convenience, new patient forms are available for download. Feel free to print and complete the forms and bring them with you to your new patient appointment. We know that your first visit to a new dental office can be an anxious experience. We strive to make this transition as comfortable and relaxed as possible. 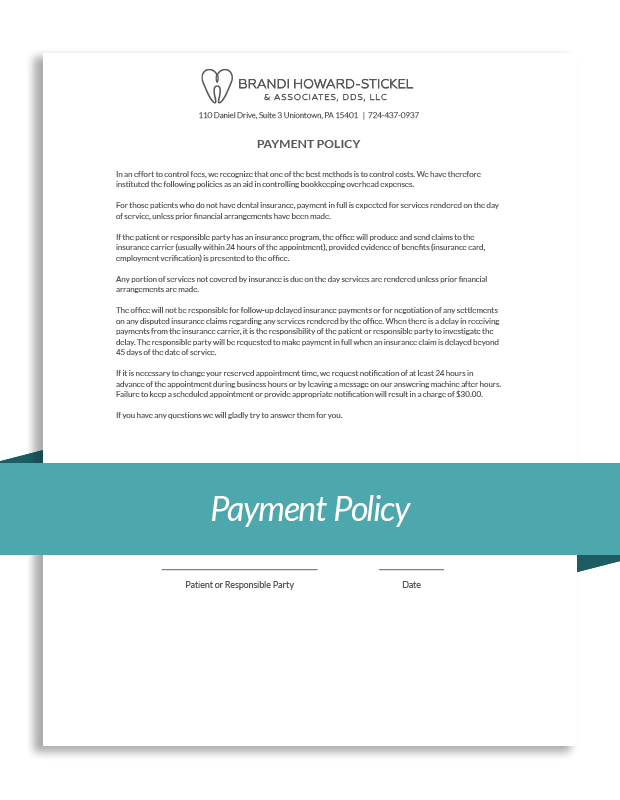 Upon arrival, please be prepared to complete insurance and all health information forms to allow us to begin dental treatment. Please arrive 15 minutes early to allow adequate time for completion of this process. Most new patient appointments will consist of a dental cleaning or prophy, x-rays and a comprehensive dental exam including an oral cancer screening. With this information, we can work together to create a treatment plan to help you achieve your optimal oral health.